How two desperate Biblical literalists exploited a declining philosopher–and why. The sharp intellect of philosopher Antony Flew exceeded that of Bertrand Russell by some accounts, as did his devastating critique of theism. And yet, the final years leading up to his death in 2010 were fraught with scandal as Evangelical apologists recruited him to their cause, even publishing a co-authored book in which Flew ostensibly made the case for a Christian-type god. It is estimated that in coming decades almost a third of us will die with some level of dementia. This story is a brutal reminder of how vulnerable dementia is to exploitation. It is also a brutal reminder of how morally corrosive religious certitude can be. With the stakes so high, intellectual and moral sleight of hand in order to win converts or keep people from deconverting becomes a lesser evil than leaving souls to suffer damnation. On the scale of such zeal, most home turf moral transgressions in the service of faith seem small indeed. Sins that catch the public eye include things like evangelists rewriting American history so that the founding fathers appear to be biblical Christians, “friendship missionaries” targeting vulnerable foreign students without revealing their ulterior motive, a filmmaker fabricating an anti-Semitic snuff film under the guise of piety, or born-again officers bullying Air Force cadets to accept Jesus. Behaviors like these might seem worthy of little more than an eye roll. But such behaviors offer us an opportunity to understand how absolutist, mind-controlling dogmas can get good people to do ugly things, large and small. A recent New York Times article by Mark Oppenheimer (The Turning of an Atheist; NYT Magazine; 11/4/07) ; exposes a good example of this pattern in action. About four years ago, British philosopher Antony Flew, a life-long atheist now in his eighties announced that he believed in some sort of god. Possibly this god was simply a prime mover, possibly it was a person-god. Flew’s public statements were sometimes contradictory. Nevertheless, Flew made a published appeal in support of intelligent design, among other things, and over the course of several years he became the darling of evangelicals in search of a credentialed ally. Flew was a “catch,” courted hard and won. Recently, two public defenders of Biblical literalism, self-funding apologist Roy Varghese and evangelical pastor Bob Hostetler even helped the aging philosopher write a book, There is a God, which tells the story of how and why he converted from atheism to a fuzzy deism with theistic overtones that are fuzzier yet. There is a catch. 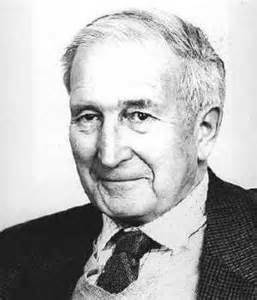 Antony Flew, possibly for several years, has been showing signs of dementia. Looking back on the second election of Ronald Reagan, my psychologist friend Geoff comments: “How could the American public have voted for that guy? His Alzheimer’s was obvious by the end of his first term.” In hindsight it was. The same may someday be said of Flew. When he first announced his reversal, fellow atheists were dismayed and believers thrilled. But it is only in hindsight, in a context of unambiguous dementia that Flew’s recent years can be understood. Memory impairment: could not recall the identities of old colleagues (e.g. Brian Leftow, Paul Davies) when given their names, could not recall the content of his earlier books (John Leslie), forgot and then remembered timeless philosophical arguments—conclusions were swayed back and forth in beliefs by most recent conversations or changes in recall. Disturbance in executive functioning: manifest confusion responding to abstract argumentation–demurring, passive assent, contradictory statements, didn’t write and couldn’t maintain content awareness of book published in his name. Indicators of cognitive blurring can be seen firsthand in a recent interview of Flew conducted by evangelical apologist Lee Strobel (available on You-Tube). With this level of observable dementia, and with a decrement of 3-4 IQ points per year, one might hypothesize that Flew is nearing the decade mark. In fact, having begun with a particularly robust mind and level of mental activity, it is possible that he has been fending off debilitation even longer. Symptoms such as those described by Oppenhiemer, even if they are currently patchy and inconsistent, let us know what to watch for in coming years. Apraxia means losing the ability to carry out motor activities. Agnosia means losing the ability to recognize or identify objects, including people you love. Alzheimer’s is a fate no-one would wish on anyone but an enemy and few would seek to exploit to their own advantage. One simple answer is that such behavior works. In evangelical circles, “Flew’s” book will receive wide distribution, and few readers will be the wiser. It will be an effective tool for proselytizing young skeptics and arming campus missionaries. All’s fair in war, they say. And surely, if one seeks only dominion, any manner of behavior can serve the cause. Questions of good and evil are in some ways irrelevant to the end. But if one seeks, truly, to serve Love and Truth, then questions of good and evil, of decency and fairness and integrity are the end. Roy Varghese and Bob Hostetler, at least from their public statements, are not Machiavellians who generally insist that the end justifies the means. Rather, something has gotten them to violate what one might assume are their own deeply held principles. Oppenheimer offers a partial explanation: “An autodidact with no academic credentials, Varghese was clearly thrilled to be taken seriously by an Oxford-trained philosopher; it may never have occurred to him that so educated a mind could be in decline.” This seems credible. Varghese has little to gain and much to lose from one simple punch line that has emerged along with evidence of Flew’s impairment: How can you tell an Oxford philosopher is senile? He announces there is a god. The powerful emotions and personal transformation that can sometimes accompany conversion, worship and prayer in any religion get interpreted as unique to Christianity. They are evidence of God’s love, personal salvation from hell, and the presence of the Holy Spirit in the believer’s mind. 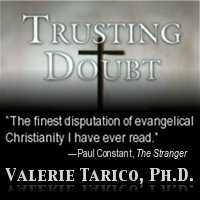 Doubt, in Evangelicalism, is evidence of weak faith or even temptation by Satan, the Father of Lies. In the most sophisticated Evangelicals, it is something to be admired—and overcome. “Tolerance” means being fuzzy headed about good and evil. It means moral relativism or moral indifference of the worst kind. Developing attachments to unbelievers, except to convert them, is seen as dangerous—being unequally yoked. Contradictions within the faith are relabeled as divine mysteries that make belief all the more wondrous. Gallery | This entry was posted in Musings & Rants: Christianity and tagged Anthony Flew, Bob Hostetler, Christian fundamentalism, exploitation of elders, Roy Varghese, senile dementia. Bookmark the permalink. Speaking of the end justifying the means, I recall vividly from my elementary school days, reading of how, from our History books, the Father of Our Country, as a child, devastated one of his father’s cherry trees – it was in the book, it must have been true! The story went that the Father of America, George Washington, when a child himself, received a new hatchet for his birthday. Anxious to try it out, little George surveyed the rows of blossoming cherry trees lining his father’s long, winding driveway. Choosing one of these, he commenced to break up the set by using his hatchet and chopping it down. Obviously his father noticed its absence on the buggyride up the driveway to the house, on his return from a long day at the office, located his young son and asked him about it. Once upon a time in America, in 1800, there was a “gentleman,” and I use the term ever so loosely, named Weems. Reverend Mason Locke Weems, it seems, was not only a pastor but also, each in its turn, a sailor, a medical student, an accomplished player of the fiddle, author, and a seller of books, most especially, the Bible. During his pastoring days, which occurred sporadically whenever book sales were down, he found himself teaching a Sunday School class in addition to his regular duties delivering sermons. He wanted to teach his wide-eyed young class the evil of telling lies, so he concocted the story of young Washington as a shining example of the reward for always being truthful. He taught his lesson of truthfulness by fabricating a lie and passing it on to innocent little minds as the truth, a lie so convincing, that generations later, that lie could still be found in reputable text books designed to educate other little children, yours truly included. Later, he wrote a book about the life of Washington, most likely as authentic as his Sunday School story, but because, in the early 1800’s, the public was hungry to learn about the father of their country (combined with the fact that there was little else but the Bible to take to the outhouse for reading material), that, authentic or not, it sold well. The story has since been deleted from all official public school books, but for many years, it was what all young children were taught. Valerie, in any of the material you read ,were there any interesting new “why i now believe” arguments attributed to Flew? I often wonder, when I hear nonsense statements from public figures, if they actually believe those things or if they are aware that their statements are false and they say them simply to advance thier own cause. In this excellent article you have given a way to have less disdain for these leaders: It is entirely possible that they are committed to certitude, as it is nearly required of a leader, and that they have practiced the habits of mind to avoid the questions that could prove them wrong.